Emergency repairs requiring immediate attention are always an issue, especially on a holiday. That was my case (broken/leaking PRV). Finding a plumber that could come out and take care of the issue is a problem during normal times, but even more challenging on a holiday. That was my situation. Fortunately, one of my neighbors recommended her plumber, Go Green Plumbing. She said this company is excellent and has a yearly service agreement with them. Well, she was absolutely right. From the moment I called, I received first class service. I spoke to Chelsea and was assured their company could take care of the problem. She set it up and indicated she would have a technician to our house by around 3:00 pm. And since she would be leaving before then, she indicated Christi, her backup would give me a call around noon to provide a status. She sure did, and with great news, a plumber, Mitch would arrive arrive at my house at approximately 1:00 pm. She provided all the details to include a photo and bio so that I knew who would knock at my door. By this time, I was sold on this company. As for the service and repairs I received, it was all top line, exceptional to be precise. Upon arrival, Mitch introduced himself in a most professional manner and assured me he was there to resolve the problem. He began with an inspection of the issue and a description of the steps he would take, to include options and choices for the work ahead, including some extras if I wished to go that route. Never was I pressured into accepting other work, but was always given options for what needed to be done and when. I was sold. This technician knows his job well, I thought for myself. I chose what I needed and he proceeded to repair the valves. From start to finish, Mitch did an exceptional job. I would recommend him and Go Green in a heartbeat. They, to me, are the best and most efficient plumbing company I have ever dealt with. Truly the best! I know this input is a bit lengthy, but I needed to share my experience and to highly recommend this company to anyone looking for a professional, efficient and organized, and highly reliable company. 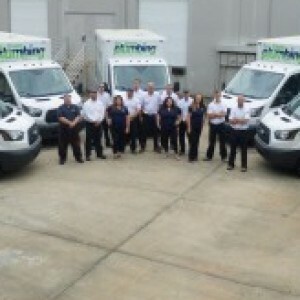 Go Green is definitely the company to go with for all plumbing needs. A sincere thank you to all the Go Green staff, Chelsea and Christi, for all your help, and your willingness to help in a time of need. Shane did a great job. Couldnt be more pleased with the work done. If there was a higher rating than 5 stars, this would be the company to deserve it! The employees are extremely knowledgeable, friendly, and honest. Nate has done a few jobs at our house and he has been great! He walks us through all of our options so we know what to expect form the beginning. He gets the job done in a timely manner while taking the time to listen to our concerns. The work they have performed for us has been exceptional. We use Go Green for all of our plumbing needs!!! 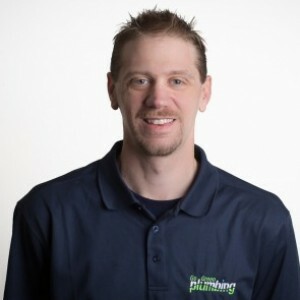 Shane Absher with Go Green Plumbing was timely, made clear and detailed recommendations, and provided an overall excellent experience. Wouldn't hesitate to hire Shane to clear any plumbing hurdle. Professional, highly knowledgable, super nice. I highly recommend Go Green. Nate came out and troubleshooted our issues. Came up with a plan and pricing and was able to do in one day. I am glad we meet Go Green Plumbing at the Greensboro Home Show. Will be our plumbers from now on. Mitch was great. He was informative and professional when presenting the options and his work was excellent. When we first called Go Green today, the gentleman Dennis took all our information and was very courteous. He then called us back and said that someone would be contacting us shortly to come out. My wife and I was very happy because this was a weekend and it's hard to get someone out on a weekend and we knew we had a serious problem. The gentleman named Josh called me and said he would be here in 30 minutes. Upon arrival Josh was very courteous and knowledgeable. I told him the problem and he begun to look at the issues and tell me the prices of what it would cost, the different options etc. Josh was extremely polite and knew his job. He broke down everything that was wrong so that my wife and I could understand it. Even though the price was a little more than expected we knew we were in great hands with Josh! I really appreciated that Go Green honored the military with a discount to the price we had to pay. Josh evened thanked me for my service. I would definitely use Go Green plumbing again! 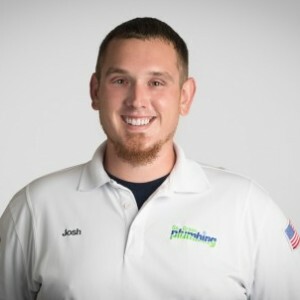 Thank you Josh for your great service! Nate W. came to do a pre-purchase inspection of a home. Very thourough in looking at every plumbing and boiler issue in the house. Shared his knowledge in ways a non-plumber could understand. Gave detailed estimates and advice on the needed repairs. I can recommend highly recommend him to do a thourough and competent inspection of your home plumbing systems. Nate W. was the nicest plumber I've ever met and he knew his stuff. I would highly recommend working with him. Nate was extremely thourough, knowledgable, personable and straight forward. 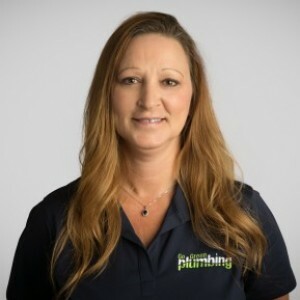 His professionalism and customer service combined with the great communication from the office made my choice to go with Go Green Plumbing an easy one. I was so pleased with Go Green's customer service. The work was done well and quickly. They are experienced and so courteous. Jon came out Saturday evening, discovered our problem, and talked with us about options. Very considerate of what we wanted and the best course of action. Great service! Jon was the plumber on call and was most efficient and courteous. He arrived within 30 minutes of my call. Explained in detail our problems and offered various options. Would highly recommend "Go Green" for all your plumbing needs.